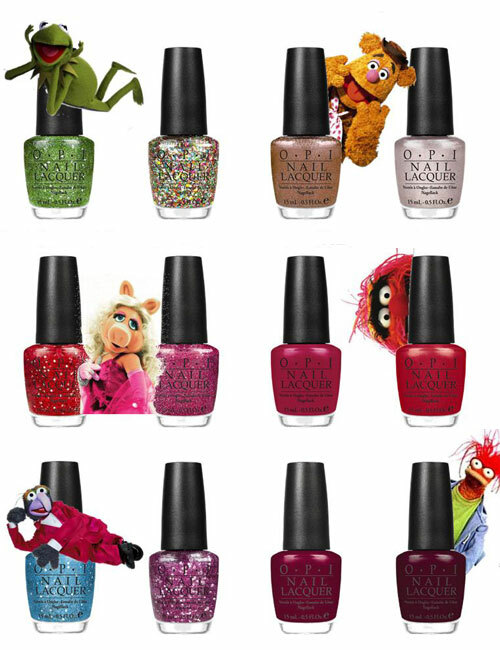 OPI Holiday 2011 Muppets Collection! I am finally excited for a collection this year! I don’t know why, but for the last year or so I’ve been completely bored with collections coming out. I think it’s due to the lack or originality in the colors … but come on, there is a definite number of colors that can exist in the world and that are suitable for sale (ie a company would make money selling that product). 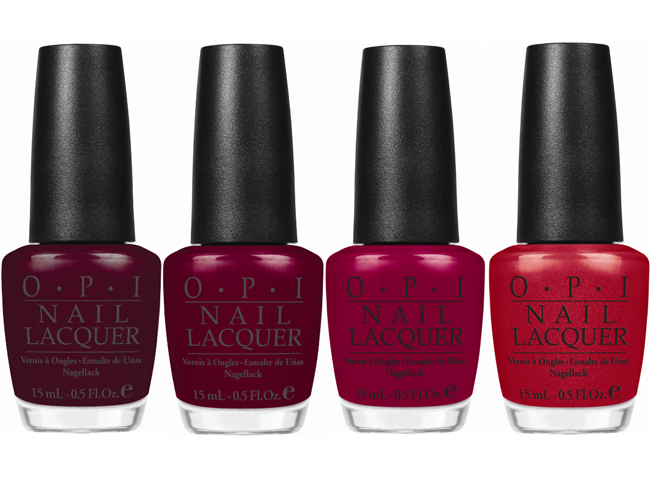 So I can’t be too mad about nail polish companies releasing the same shade of red or pink over and over again. I also can’t complain too much about how I’ve seen everything before and I don’t want to waste my money on something that I already own from another company. But this collection actually has me factoring in the costs into my beauty budget and putting a big star in my day planner for when it hits stores!! I am honestly planning on purchasing half of this 12 piece collection. 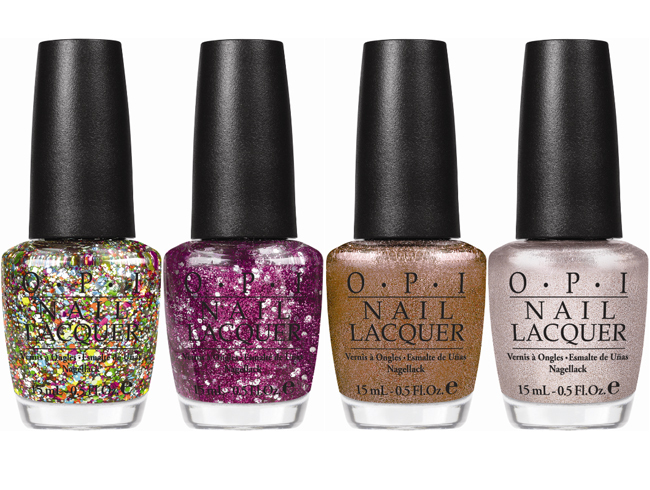 I’m not a huge fan of metallics so I will probably just glance at those in the store to see if they are better in person, but I am majorly eyeing all the glitters except for Excuse Moi. That shade I’m not completely sold on from the promotional materials because I’m not a fan of those shades in general and in contrast to the other glitters, there doesn’t seem to be any silver pieces to set that glitter apart and make it unique. And Rainbow Connection, although looks so much fun, I feel may be a dupe for Deborah Lippmann’s “Happy Birthday”, which I now own 2 of, and companies like Sephora by OPI, Nicole by OPI, Wet ‘n Wild and Milani (just to name a few, there are more) have already come out with extremely similar shades. That glitter would have been unique 2 years ago but now the market is flooded with confetti like, multicolored glitters. But the surprise love that I really do want is going to be Pepe’s Purple Passion. I don’t know why, but that shade is calling to me … maybe its my inner child finally starting to grow up and realizing that colors like that are uber classy. All of these shades will be available in November, but I’m still hunting for the exact release date, and no doubt will go fast. 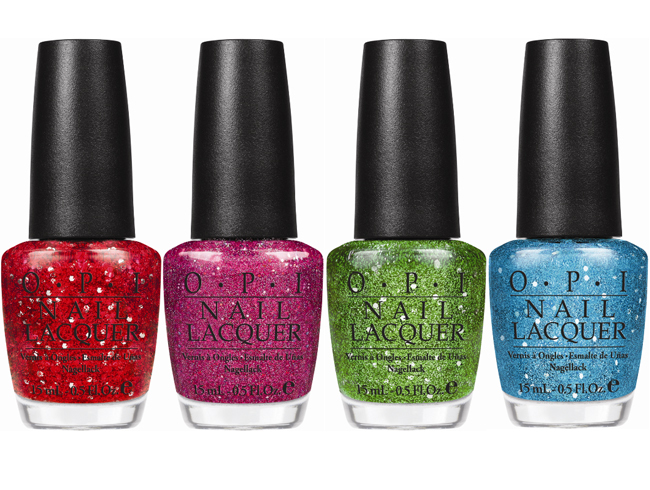 I’m so excited for this holiday season because it looks like other companies, not just OPI, will be appealing to my pocketbook.